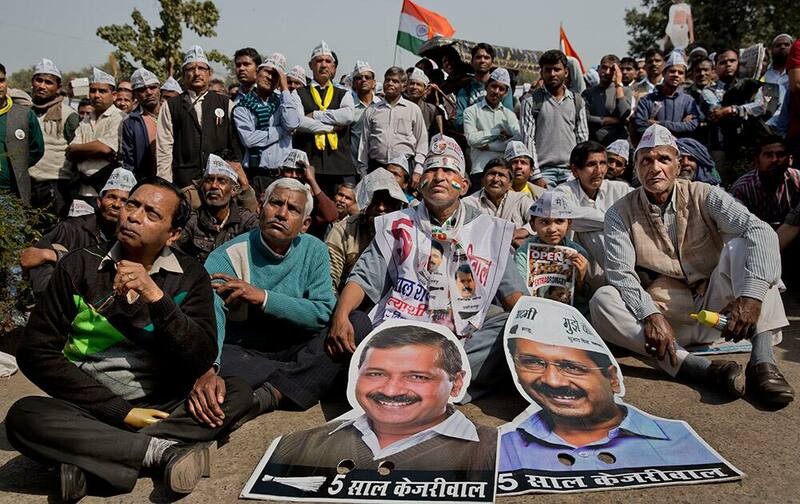 Supporters of the Aam Aadmi Party, follows on a giant screen the oath-taking ceremony of party leader Arvind Kejriwal as the new Chief Minister of Delhi, in New Delhi. 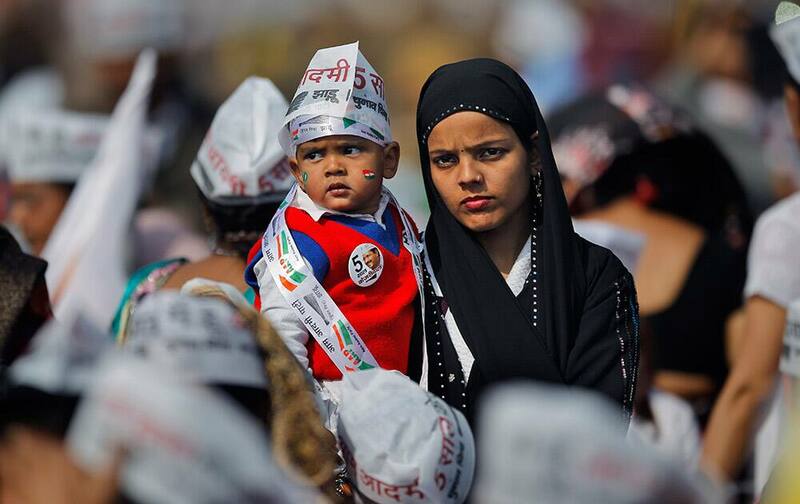 A woman carries a child and attends the oath-taking ceremony of Aam Aadmi Party, leader Arvind Kejriwal as chief minister of Delhi in New Delhi. 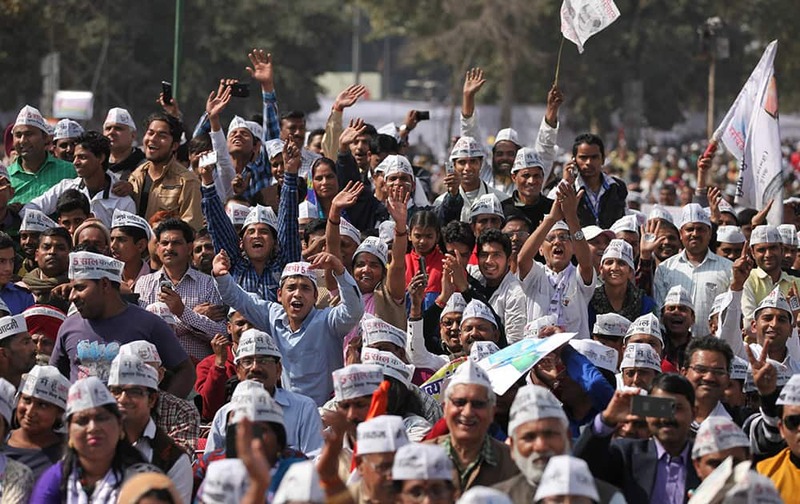 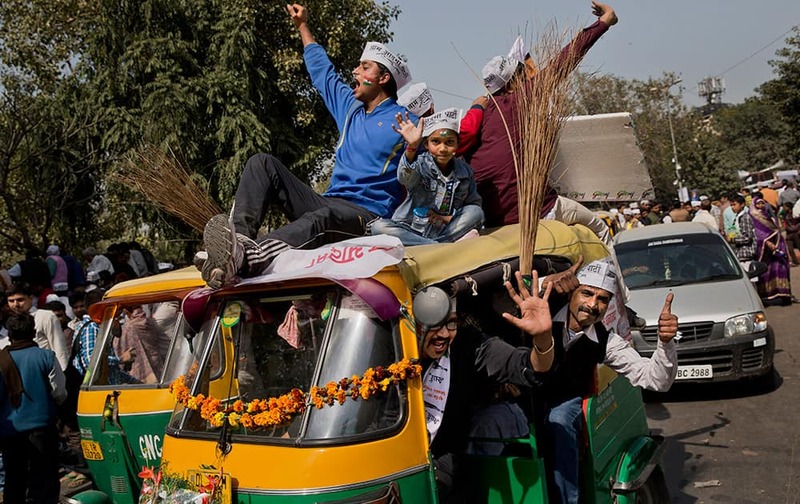 Supporters of Aam Aadmi Party, cheer during the swearing-in ceremony of party leader Arvind Kejriwal as chief minister of Delhi in New Delhi. 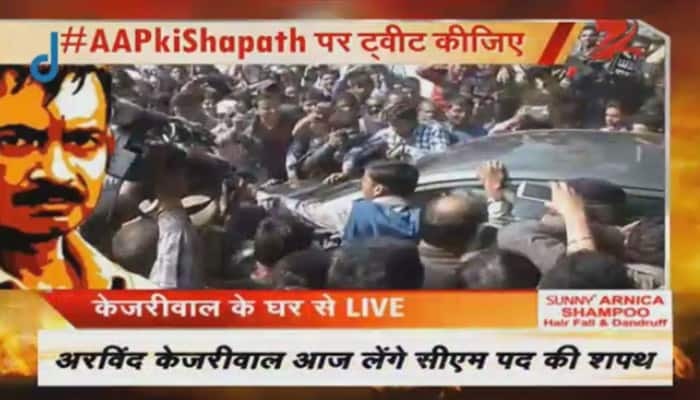 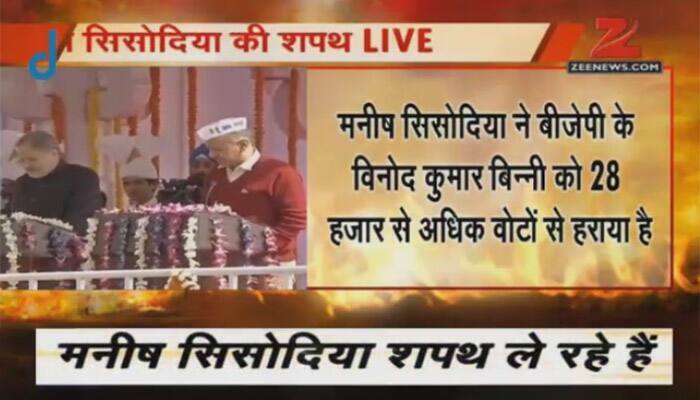 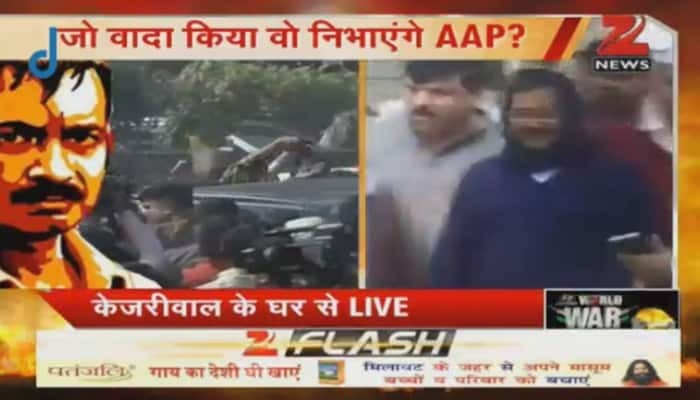 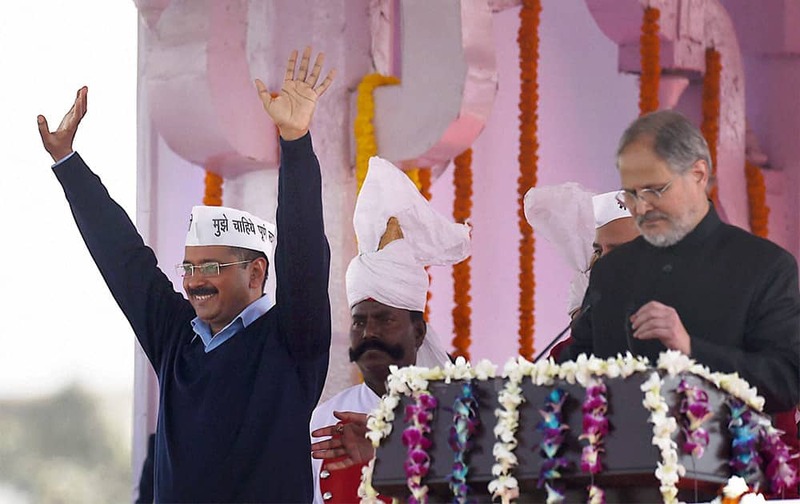 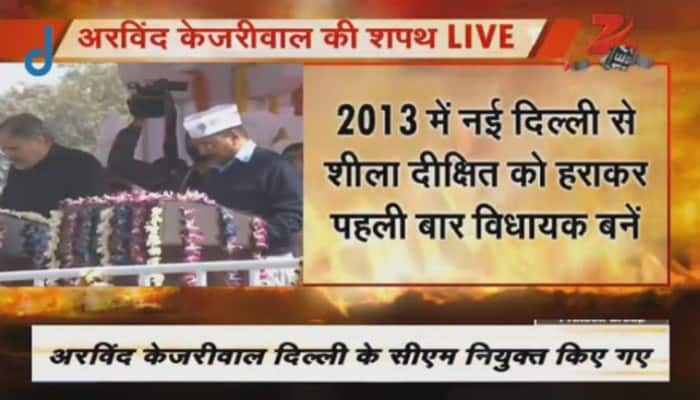 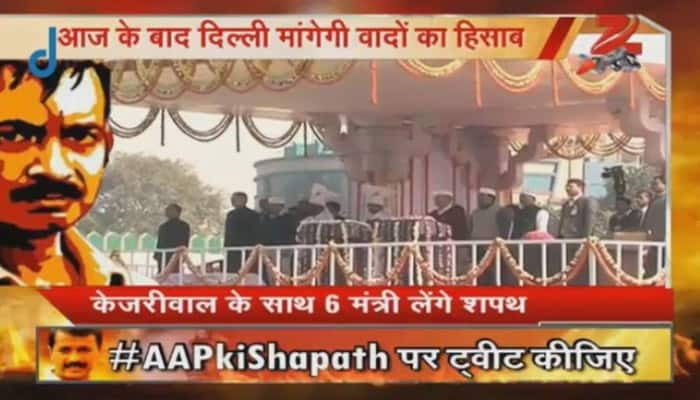 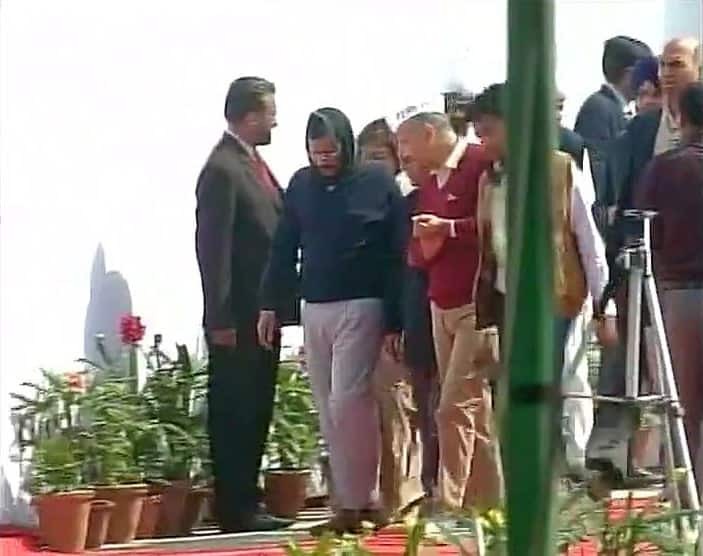 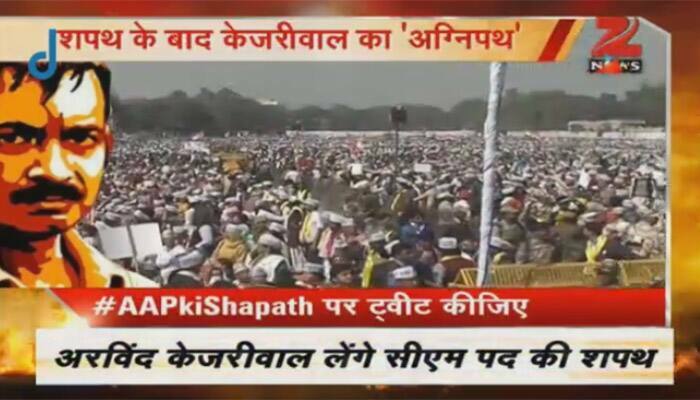 AAP convener Arvind Kejriwal after taking oath as Delhi Chief Minister at Ramlila Maidan in New Delhi. 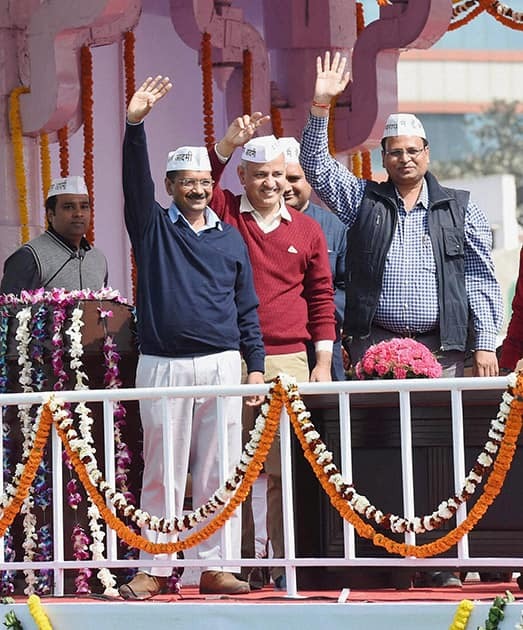 Delhi Chief Minister Arvind Kejriwal and cabinet ministers wave at supporters during the oath taking ceremony at Ramlila maidan in New Delhi. 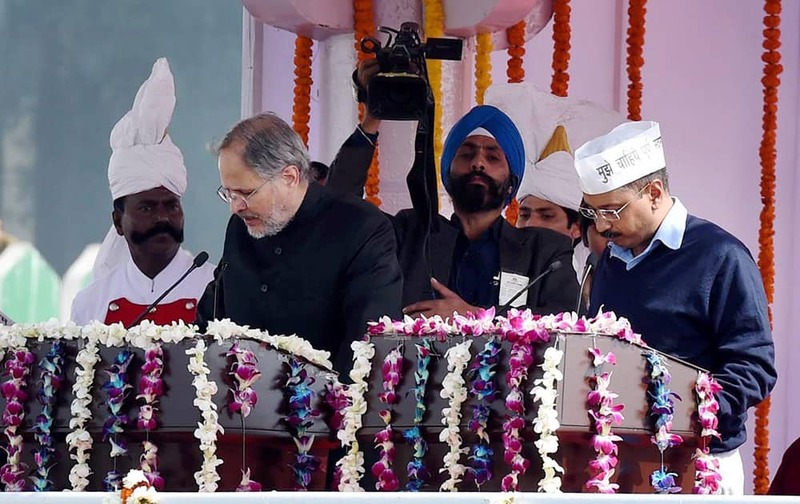 AAP leaders Gul Panag and Rahul Mehra at Delhi CM Arvind Kejriwals swearing-in ceremony at Ramlila Maidan in New Delhi.